Success: What Price Does Your Character Pay? I’m getting much closer to actually starting my new novel, but I’m still asking myself a crucial question. What is the cost of success for the main character? Loss of innocence. If you write a bildungsroman novel, that genre which take a main character from childhood to adulthood, the cost is a loss of innocence. I’m actually doing this, but I also want a physical thing to represent that turning away from childish things and toward more mature things. It could be something like putting away stuffed animals in favor of taking care of real animals, accepting the responsibility of their care. I’m looking around my story for possibilities. Physical cost. Or, there could be a real physical cost. In his book about writing science fiction, Orson Scott Card talks about developing a story where men could do powerful magic. BUT, to make it cost something, he decided that magic could only be powerful if the mage cut off a part of himself. Cutting off a finger was a small magic, but cutting off an arm was bigger magic. That kind of sacrifice is built into the framework of the story, the milieu. It could be used in the climax of the story effectively by the making a mage choose a bigger physical sacrifice for the biggest magic, a sort of literal self-sacrifice. Emotional sacrifice. Of course, there are emotions that can be given up for the greater good of someone in the story. Think of Dicken’s A Tale of Two Cities..
What does my character love the most? What if she had to give it up? What does my character fear the most? How can I make her face that fear? What character hurts the most? Could that character be the main character? How could I make my main character hurt the most? I know that the ending of my story’s plot needs more punch and I’m sure it’s because I haven’t yet asked my main character to make a choice, to sacrifice something important in order to gain something even better. Somewhere, Katherine Paterson said that creating a plot is like cutting an image into stone with only a paper clip. (obviously that’s paraphrased!) 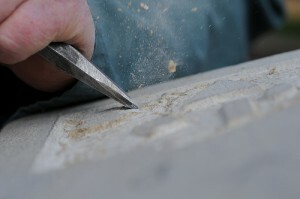 Wish someone could give me a stone chisel, because I feel exactly the same! Thanks for this Darcy. It made me think about my main character and gave me some ideas. Interesting post. I’ve been toying with the idea of having my MC undergo some sort of physical distress each time she (mis)uses a newly-won power. But I think an emotional price would be more satisfying dramatically. Kathryn: Even an emotional price will help raise the stakes. And that’s always good in a novel.